Most of us tend to think of surgical procedures in a certain way. We envision surgeons and their staffs intricately working together to get inside the body of a patient and to correct what needs correcting. This is obviously very delicate work that depends on an enormous amount of skill on the part of the surgeon. The phrase ‘hands of a surgeon’ comes from somewhere, and it is not an accident. Over time, many surgical errors and injuries have occurred because of a simple slip of the hand, and companies have worked to provide an added measure of safety in this regard. One such company is known as Intuitive Surgical, Inc. Intuitive, as it’s commonly known, has been aggressively marketing a high-end surgical product known as the da Vinci Surgical Robot. This surgical robot sells for an average cost of $1.5 million, and the company has enjoyed a rise in revenue as the number of robotic surgeries in the United States has surged in recent years. 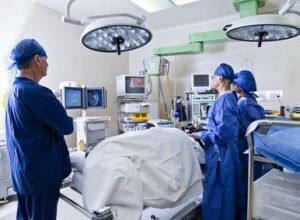 According to Intuitive, the number of surgeries has risen from approximately 228,000 in 2010 to more than 365,000 in 2012. That’s more than 1,000 robotic surgeries per day across the country. Intuitive, as part of its ongoing marketing initiative, states that these robots can mimic the hand movements of a surgeon in a precise manner and that the improved posture of surgeons will lead to less fatigue and therefore fewer potential errors. Unfortunately, problems have arisen recently with regards to the use of this surgical robot. The company reportedly sent a warning letter to customers on November 19 regarding the potential for the product to stall during procedures. Adding to the problem, surgeons tend to respond to this stall by pushing through the stall. This leads to the robotic arm ‘catching up’ to the movements and therefore proceeding awkwardly. The FDA caught wind of this warning and has also publicized the problem with these surgical robots on its own Web site. A link to its report can be found here. According to several other reports, this problem could affect nearly 1,400 of these devices around the world. As such, the FDA has classified this situation as a ‘Class 2 Recall,’ meaning that while this product line is not technically being pulled from the market, a risk of complications and injuries in patients has been recognized and needs to be handled by the manufacturer. According to a report by Bloomberg, the number of adverse events through November 3 of 2013 was more than double the number of reports recorded during all of 2012. Patients have no reason to distrust the equipment that doctors use on them during surgery, yet people have allegedly been seriously injured and even killed by these malfunctioning robots. Those who are harmed by this type of a product need to stand up for themselves, but a consumer facing a large corporation is not a situation that tends to lend itself to positive results for those who deserve them. If you or someone you love has been harmed in this manner, contact the da Vinci surgical robot lawyers at Parilman & Associates today to schedule a free initial consultation.